The following is an excerpt of an article by Iowa State University Professor Ruth MacDonald on the Genetic Literacy Project website discussing the state of GMO and health education in higher education. arlier this year, Iowa State University hosted about 300 high school students from around the state who participated in the World Food Prize Youth Institute. These students spent the last year working on a research paper that investigated a major food or health topic in a developing country. They came to our campus to present their papers, and engage in discussions with faculty, representatives from non-profit organizations, industry and government leaders. I served as one of the discussion leaders and had the opportunity to talk with several students during the day. The issues that the students addressed in their papers centered on the struggle many developing countries face with malnutrition, subsistence farming and insufficient agriculture production. During the day, the issue of genetically modified crops arose repeatedly. Because these students are from Iowa, a major farm state, they tend to be aware of the use of GMO crops, although only a small portion of them come from farm families. Some of them suggested that developing countries should adopt Western farming practices, including GMO technologies, so that they could feed their people. Most were aware of the controversies about GMO use in developing countries but were also confused about the scope of the issue. In our conversations, I came to realize that their education about GMO foods in their classrooms was heavily based on documentary films; one might say propaganda films, since almost all of them are heavily biased and against agricultural biotechnology. I asked the student if his teacher made any effort to provide a balance to the documentary, if there were other readings or discussions. His answer was a disappointing ‘no’ and in fact the teacher seemed to think the content was reliable. The student that shared this story told me that he had a family member that worked in the seed industry, and he had done some additional reading on his own, so he knew that the ‘GMO OMG’ documentary was not accurate, but many of his peers were convinced of the dangers of GMO foods after watching the movie. If you are a teacher, and you want to engage your students in a discussion about GMOs, where could you go for information? There is no core curriculum about this topic. In fact teachers are not even required to teach about food or nutrition. Without a reliable resource, you might turn to the internet and look for a documentary. There are many options to choose from, I found 10 with one click on Google. Like ‘GMO OMG’, these 10 documentaries all paint a negative and unscientific perspective of GMO technology. Because there are so many junk films and they are so readily available it makes sense that teachers often rely unthinkingly on sensationalized documentaries about GMOs that provide a one-sided perspective. Compound this with the fact that teachers, even those that teach health, rarely take a course in nutrition, food science or agriculture and may not be able to distinguish accurate information about this topic. Recently, I was invited by an elementary school teacher in another state to speak to one of his students who wanted to do a research project about GMO foods. I volunteered to do this and agreed to speak with the student on the phone several times over the course of a month. I provided scientifically-based information about how GMOs are developed, what they are used for, how they are tested for safety and several references that described scientific evidence for their safety. If you are a teacher, and you want to engage your students in a discussion about GMOs, where could you go for information? There is no core curriculum about this topic. When the student had completed her project, the teacher shared a video link with me of the presentation. Much to my surprise the presentation focused only on how GMOs were unsafe for people, animals and the environment, with the student proudly concluding that GMOs should be banned. The book is aimed at a 3rd-6th grade audience. We would like feedback on the manuscript to address whether the topic is being covered evenly and fairly and to know if we are misrepresenting any information. The major concern I had with the original text was the undercurrent that GMO technology is actually bad and should be avoided. This is reinforced by the sidebars and activities which I do not support and have recommended be deleted. There is strong scientific evidence that GMO foods are safe for humans and animals and there are no credible sources that contradict that evidence. This is the perspective that I tried to convey in my edits. I would be happy to dialog with the author about these edits or provide additional references as needed. I ask that I be allowed to see the final version and would only allow my name to be associated with a text that I believe accurately reflects the main-stream scientific evidence. That is unfortunate that you are choosing to promote a non-scientific perspective on this topic. The images you are using instill fear and warning to young children that are not warranted based on the preponderance of scientific and medical evidence. I had hoped that the authors wanted to inform and educate. That does not seem to be their goal and I do not want to be part of that approach. We should be encouraging scientific thinking and evidence in our youth, not promoting non-science emotional perspectives. I suspect that the author, Rebecca Rissman, received great support for her perspectives from the other content reviewers that were asked to review this book, and my comments were considered the minority vote. 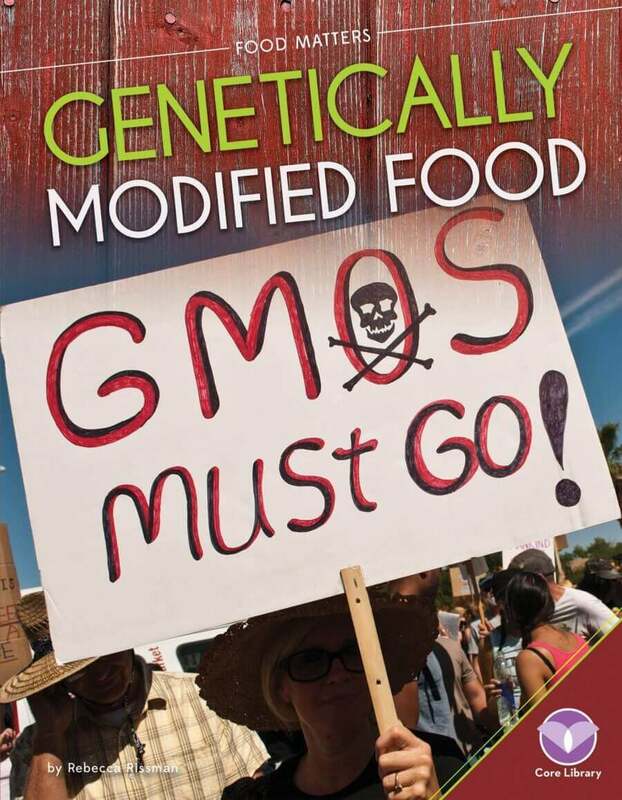 So despite my efforts to correct misinformation, this book is available for elementary school teachers as a resource to instruct students about GMO technology. To read the entire article, please visit the Genetic Literacy Project website .